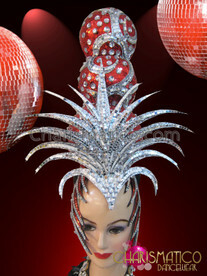 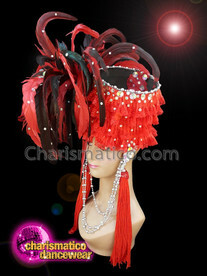 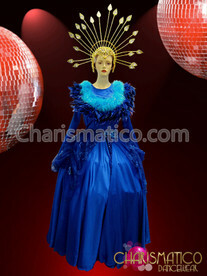 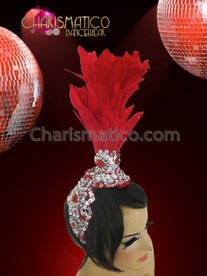 Add some Samba energy to the dance floor in this delightful headdress and backpack which beams of energy and vibrancy. 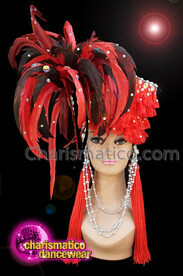 The entire headdress and backpack is composed of ruffled feathers in a blazing hot scarlet hue, sure to burn the dance floor. 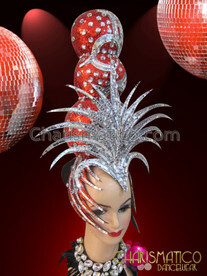 The beautiful abstract sequinned and beaded circular design, is sure to grab attention for all the right reasons.